ALZHEIMER’S HERE WITH YOU & FOR YOU. ROIL CAN HELP! Relax and Breathe: Yoga and Stress Management. 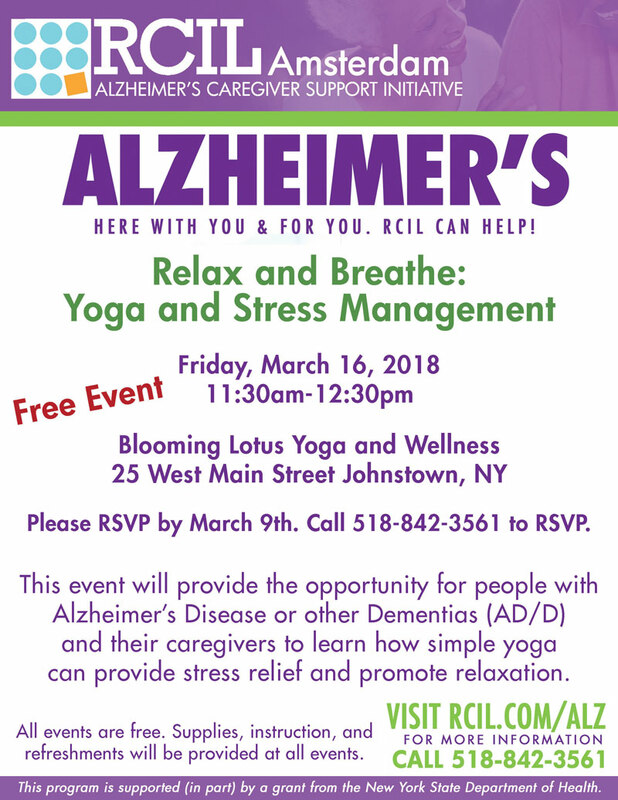 This event will provide the opportunity for people with Alzheimer’s Disease or other Dementias (AD/D) and their caregivers to learn how simple yoga can provide stress relief and promote relaxation. Supplies, instruction, and refreshments will be provided at all events. This program is supported (in part) by a grant from the New York State Department of Health.